There are a number of different types of work visa in Australia however if you wish to obtain permanent residency and permanent work rights, two of the most commonly used visas are as follows. Each of these options require the visa applicant to be sponsored by an Australian employer. The Temporary Residence Transition Stream: This stream is available to visa applicants who have been working on a subclass 457 visa for at least two of the three years immediately prior to their subclass 186 application. They must also be nominated for the same occupation that they performed under their subclass 457 visa. A skills assessment is typically not required because the visa applicant has already worked for at least two years in the relevant occupation under their subclass 457 visa (and therefore it can be assumed that they have the skills, qualifications, and experience to perform the nominated occupation). The Direct Entry Stream: This stream is for applicants who do not qualify for the temporary residence transition stream. There is no requirement for the applicant to have ever worked in Australia. Therefore, as long as the employer nominates the employee under this stream, an overseas worker can obtain permanent residency immediately (without having to obtain a temporary visa first). Skills assessments are typically required. The Agreement Stream: This is for employers who have entered into a labour agreement. There are age restrictions which currently differ depending on the chosen stream, English language requirements, as well as various other criteria. Given that immigration law changes frequently, it is important that you obtain independent advice. 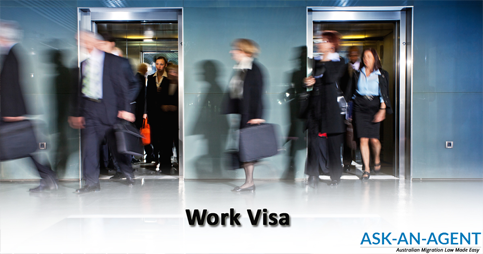 This visa is very similar to the Employer Nomination Scheme (subclass 186) Visa and has the same three streams.